Everything you want can be found in New Orleans. It has been more than 30 years since we were last in New Orleans. It was time to revisit the city that has to offer everything you ever wanted for fun and food. “New Orleans is one of the world’s most fascinating cities – it’s home to a truly unique melting pot of culture, food and music,” says New Orleans Official Guide. Everything the guide says is true. We were there in early April and the city was full of tourists. 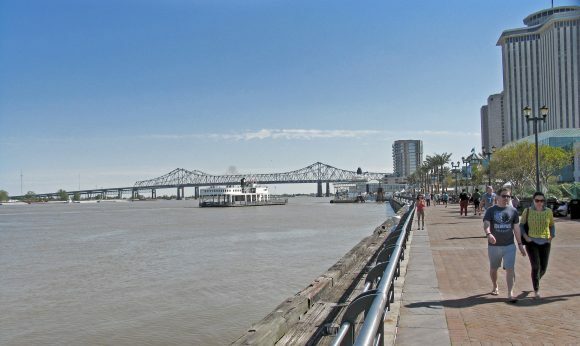 New Orleans is a major United States port on Mississippi River and the largest metropolitan area in the state of Louisiana. The population of the city is about 400,000. The city is named after the Duke of Orleans. It is well known for its distinct French and Spanish Creole architecture, as well as its cross-cultural and multilingual heritage. It is also famous for Mardi Gras, dating to French colonial times. This incredible exhibit from China is open for a limited time from February 23 to May 1, 2016. Best time to visit is at night as display of over 30 extraordinary structures light up. There is food and music and things to see in the Botanical Garden. The exhibits will travel the world and may come to a city near you. 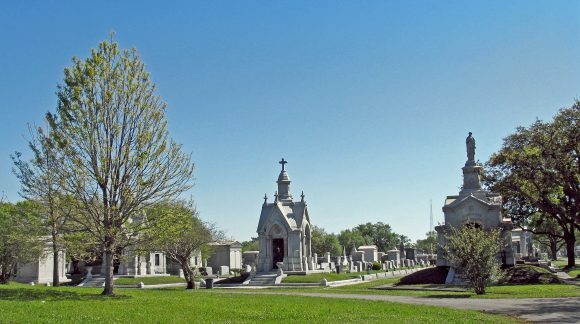 Normally, a public cemetery would not be a tourist attraction. But in New Orleans it is different. 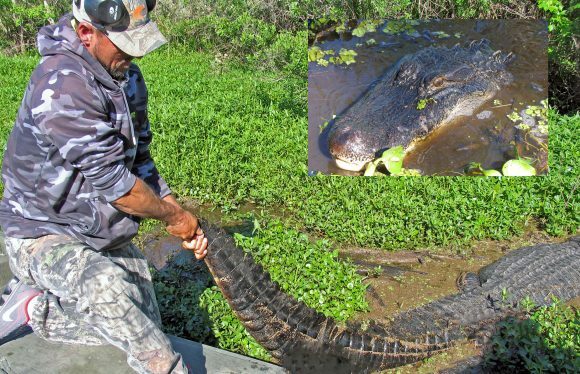 New Orleans is built on a swamp. The deceased have to be buried above ground. Each unit belongs to a family to accommodate multiple bodies. Over time the cemeteries, with elaborate sculptures and other decorative artwork, resemble small villages. 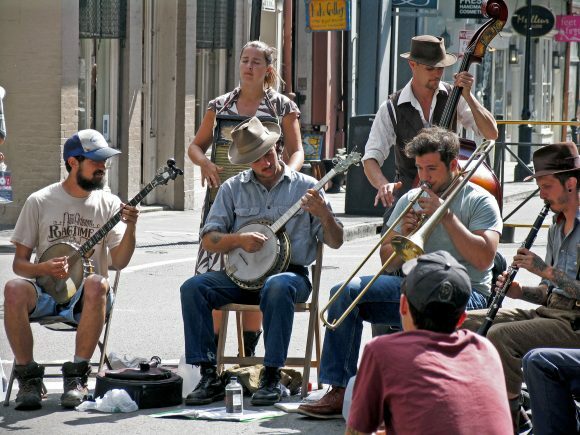 New Orleans, birthplace of jazz, offers all kinds of music. Whether you like jazz, rock, hip-hop, pop, funk, indie, blues, there is live entertainment for everyone. There are street musicians and there are world famous performers come and perform at Jazz Fest. The nightlife goes on all night. You can drink anywhere you want. You can play music and dance. Nobody stops you as long as you are having fun. Spending a night or two (or more) walking and drinking on the Bourbon Street is a must. It is a famous historic street dating from the time of French Louisiana, along the French Quarter. 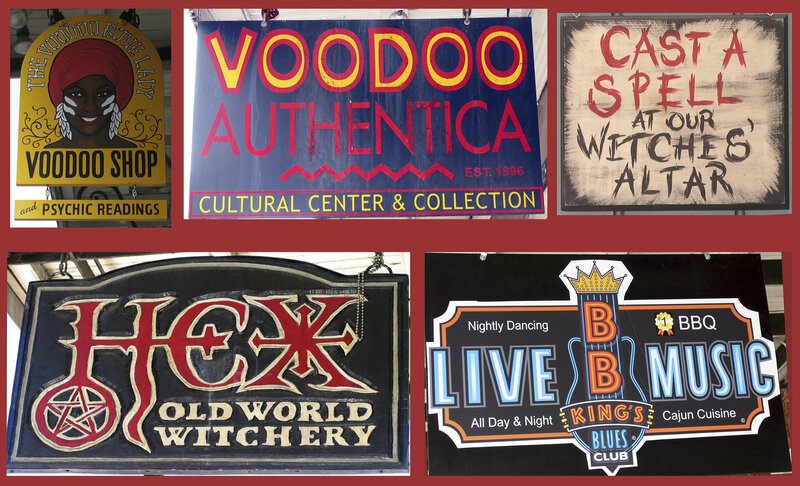 Bourbon Street is steeped in history, folklore and beauty that date back to the early 18th century. A walk along the Mississippi River in New Orleans, you get to experience riverfront area adjacent to the French Quarter. You get to experience public art, family activities including food outlets offer delicious food. There is also an air-conditioned mall. We used the services of Airboat Tours by Arthur Matherne, Inc. to look for alligators and swamp wild life. This is a high speed adventure that is part tour and part ride. 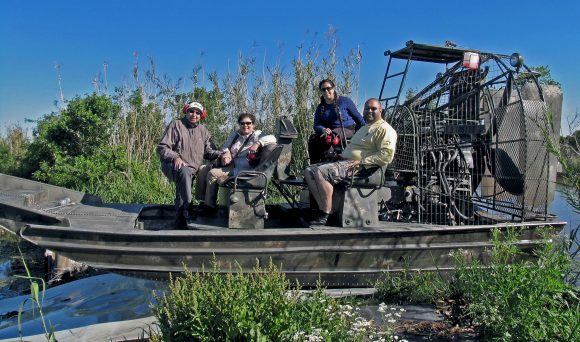 The adventure takes you through swamp, marsh and lake. You may see anything from a Bald Eagle to a Pelican to Osprey to an Owl and alligators. It is very exciting. Well, there is a lot to see and do in New Orleans – more than what I can write here. Magic of Maui – Seven Days Not EnoughNovember 17, 2012In "Medicine Hat News"